These cookies taste as rich and delicious as a gooey caramel brownie. And that little pinch of salt over the top just sets everything off in the most perfect way. Enjoy them with a tall glass of ice-cold milk, and you'll be living your best life. I'm not even kidding. Bake up a batch or two, and I PROMISE you'll be a hit! Very often when baking cookies or a cake, the first step is to beat the butter and sugar together. I always make sure to let it go for much longer than you'd think, just so that it really comes together to make a creamy texture. It's been my experience that letting it go for at least 5 minutes is a complete game changer in all of my baking! Instead of greasing the cookie sheet, I just lined it with a sheet of parchment paper. It's seriously a cookie baker's best friend. And you don't have to use a new piece every time you go into the oven. You can reuse a sheet many times! Oh, one other thing...I didn't press mine down to flatten before baking as the recipe directs. TBH, every time I bake cookies they wind up being a little on the flat side, so I was happy that these came out perfectly just by dropping them with a cookie scooper. Whenever you want a rich and delicious chocolate dessert, you will absolutely never go wrong with a Hershey recipe. I have several Hershey's cookbooks, and I'm not even kidding when I tell you that every single recipe I've ever made from them has been fabulous. They're well tested, straight forward, and they never disappoint. So, since I wanted to try a new chocolate something, of course I turned to my Hershey's Chocolate Treasures cookbook, and here we are! At first, I wasn't thinking of doing any kind of bars or squares because I already have so many brownie recipes (not that there's anything wrong with having new brownie recipes, but I was looking for something different.) 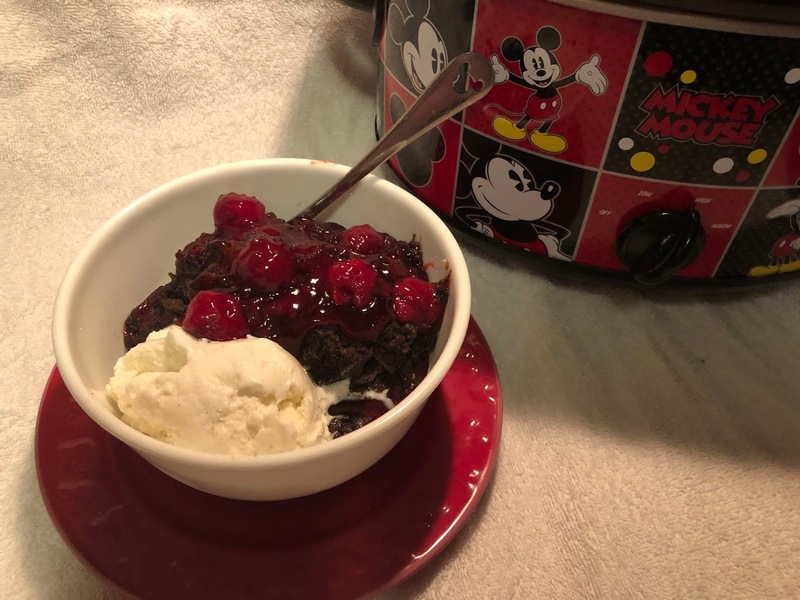 Then I saw this recipe, and knew this was the one! I love that the top and bottom layers are not chocolate, so it looks like pretty stripes when you cut into it. I also love that it has almond extract in it, since I recently discovered that my niece, Terri, is a big fan of almond flavoring. The technique was also easy, tried and true. You make one dough, which serves as both the top and bottom layers, and then add a fabulous filling. In this case, the filling is cream cheese and melted chocolate chips. Are you kidding? Seriously? They had me at cream cheese! So if you're looking to try a new chocolate something, try this one! It hits every single note and it will absolutely satisfy every single chocolate craving! Combine chocolate chips, cream cheese and evaporated milk in medium saucepan. Cook over low heat, stirring constantly, until chips are melted and mixture is smooth. Remove from heat; stir in walnuts, sesame seeds (if using), and 1/2 teaspoon almond extract. Blend well; set aside. Combine remaining ingredients in large mixer bowl. Blend well with mixer until mixture resembles coarse crumbs. Press half of mixture in greased 13 x 9 inch pan. Spread with chocolate mixture. Sprinkle with rest of crumbs over filling; bake at 375 degrees F for 35 to 40 minutes. I didn't not include walnuts or sesame seeds in my filling. Tbh, if I were to add nuts to it, I think I would prefer almonds (to continue the almond theme) or pecans (since walnuts are not really my favorite). The dough was a little more gooey than I had anticipated, so I just chilled it for a bit which made it easier to cut in half, and also to crumble over the top. Ok, lemme just say this right from the start, I'm am not the biggest fan of MINT. There. I said it. I mean, yeah, it's ok, but just not as the MAIN flavor of something. Otherwise, all I can think of is Altoids or toothpaste. The one mint thing I DO happen to love, however, is Girl Scouts' Thin Mint Cookies. I guess it's because the mint isn't so overpowering, and they are the perfect blend of chocolate and mint flavor. So I thought, well, lets put them into a brownie! Not an original thought, I know, but still a good one, and worth further research. Yes, yes, I know I could just buy a brownie mix, throw in some chopped cookies, and call it a day, but I usually don't like to use a boxed mix. That would take all the fun out of it! 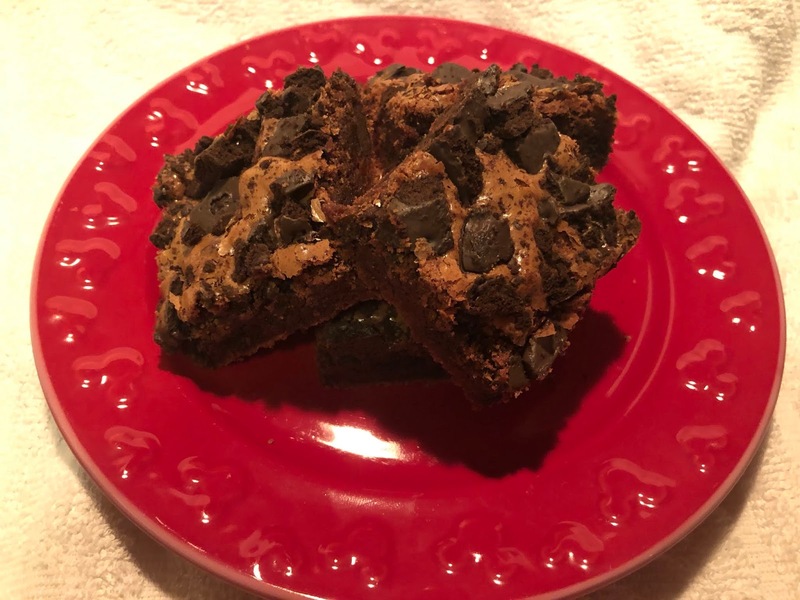 So I started looking for Thin Mint Brownie recipes. I found a TON of them, but many of them go VERY far with the whole mint thing. Adding mint extract to chocolate ganache, adding Andes Candies to buttercream, and on and on. Altoids, again. Sorry. Is it so much to ask for just the right brownie recipe with a thin mint crunch? I actually started to think, well, maybe what I really do want is a boxed mix and some chopped cookies. But then I found this fabulous recipe from a website called The Daily Meal, and it's exactly what I wanted. A scratch brownie with the thin mint crunch. Simple, easy, not complicated, and no Altoids. Could I still just do a boxed brownie mix and stir in some cookies? Of course, but I'll always go from scratch if I can help it!! Brush a 13- by 9-inch pan with butter. Melt the chocolate and butter in a large bowl over a double boiler. Transfer the melted chocolate to a mixing bowl. Stir in the sugar. Add the eggs, one at a time being careful to incorporate each egg. Stir in the vanilla extract. Add the flour and salt at once. Stir to combine. Fold in half of the chopped cookies. Spread the brownie batter evenly in the pan, and top with the remaining chopped cookies. Bake for 30 to 35 minutes. Remove from the oven, and cool completely before slicing and serving. 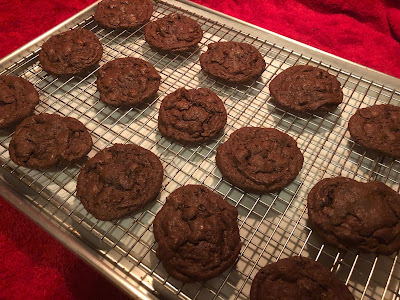 Instead of unsweetened chocolate, I used dark chocolate chips. Use what you have! If Girl Scout Cookies aren't available, add any other kind of cookie you like! If you're still feeling the mint thing, use Mint Oreos! Btw, I didn't even measure 2 cups of cookies. I just used an entire box!